Jamaica has banned a pastor from Arizona who has called for gay people to be put to death from entering the country. 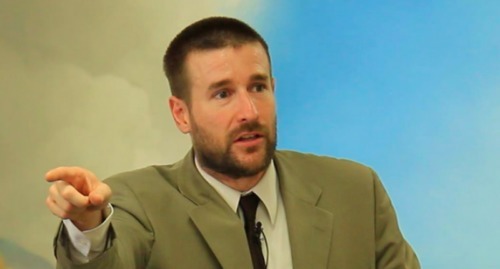 Steven Anderson, of the Faithful Word Baptist Church, has already been banned from South Africa, the UK, Canada for spreading hate. He was arrested and deported while in Botswana in 2016. Anderson celebrated the victims of the mass shooting at the Pulse nightclub in Orlando, is a Holocaust denier, and said he would pray for former president Barack Obama to die and go to hell. “The decision was made by the chief immigration officer because the pastor’s statements are not conducive to the current climate,” said a spokesperson for the Ministry of National Security on Monday, The Guardian reports. He was scheduled to speak at The University of the West Indies, which rescinded its invitation. “This is a positive outcome in which I am very pleased,” said Jay John, an activist whose online petition calling on the Jamaican government to ban Anderson from the country garnered nearly 40,000 signatures. “I am glad that leadership was shown in protecting LGBTQ Jamaicans, women and other minority groups which Steven Anderson has attacked over the past,” John added. Jamaican lawyer and activist Maurice Tomlinson, who relocated to Canada following death threats, also praised the decision. “This is a huge win for our Jamaican sovereignty, our constitutional protections and the safety and security of all Jamaicans,” Tomlinson said. Anderson made a video complaining of being banned, claiming it was likely to do pressure from other countries. He then took a turn into Alex Jonestown, claiming it a one world government is to blame. “But to me, it just goes to show that we’re heading into a one world government, where individual nations, they don’t really have any say over what they do. A country like Jamaica, that’s supposed to be a sovereign nation, apparently they can’t really do their own thing,” he claimed.